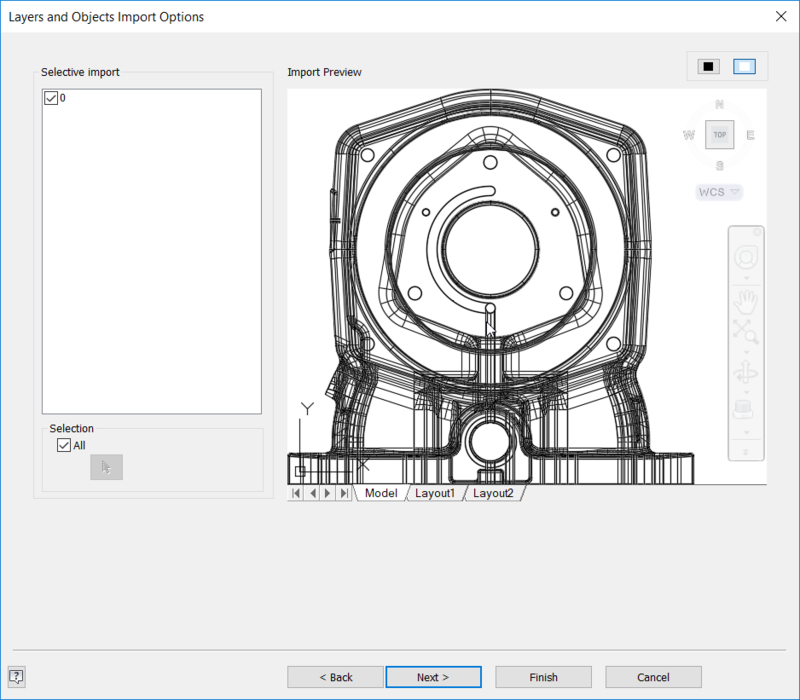 Autodesk Inventor is a great tool when it comes to translating other vendor’s CAD models. Autodesk has seen the importance of translation and has put a lot of work into the software. What it does very well (as it always has) is bring in AutoCAD dwg’s. This is seen as extremely important as how many legacy drawing do we have because let’s face it, everybody has probably got a ton of dwg’s before they finally decided to go to a 3D package and to easily re-use that data would be with Inventor. To show how easy it is you can just open up AUtoCAD, press control+C then open up a sketch in Inventor and control+V. Its that simple. You can also go the wizard route. 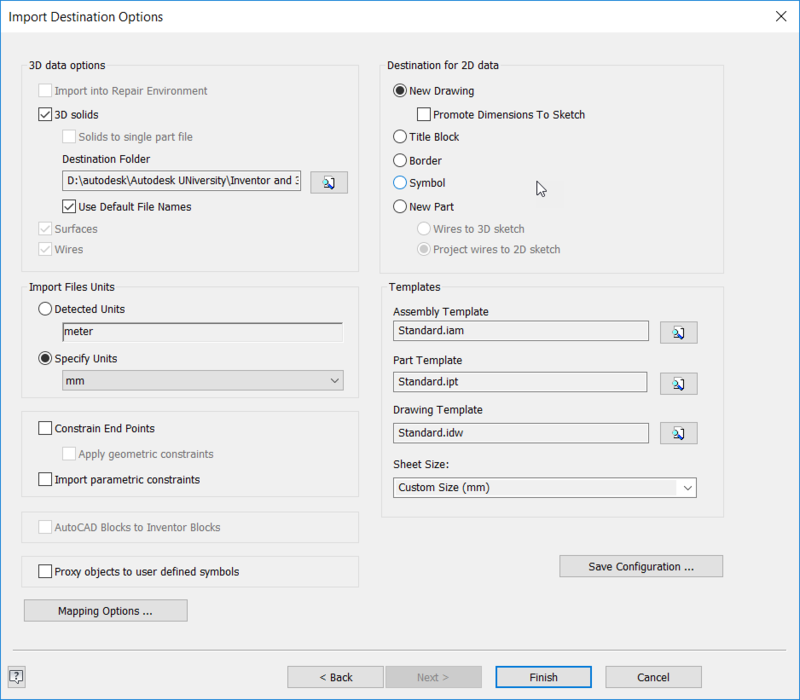 When you select the file you have the option to either Open or Import the file. If you open the file it opens the dwg in a viewer. If you import the file it will translate the autocad entities into Inventor entities. Above is the next page. 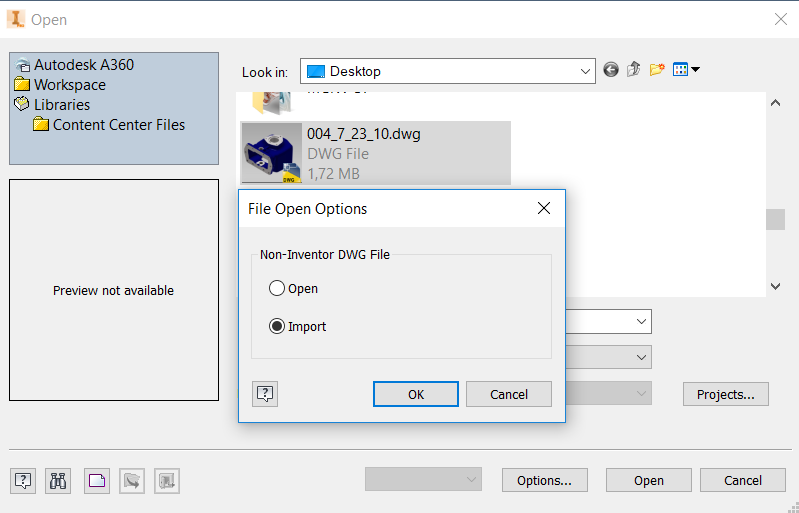 This allows you to open a configuration that you have saved as well as it identifies what type of file you are opening. 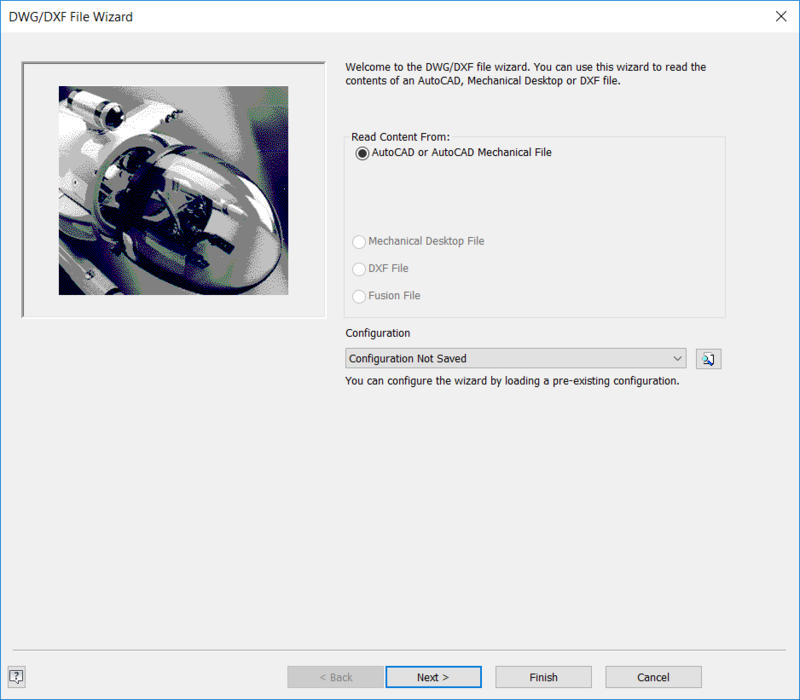 The next page in the wizard allows you to view the data that you are importing. If there is more than 1 layer then you can turn the ones that . The next page that comes up allows you to configure how you would import either the 2D or 3D data. You can also change the import the units. You can also automatically constrain your sketch and if you have autocad blocks it can be automatically converted into Inventor blocks. You can also choose the template that you would like to use. 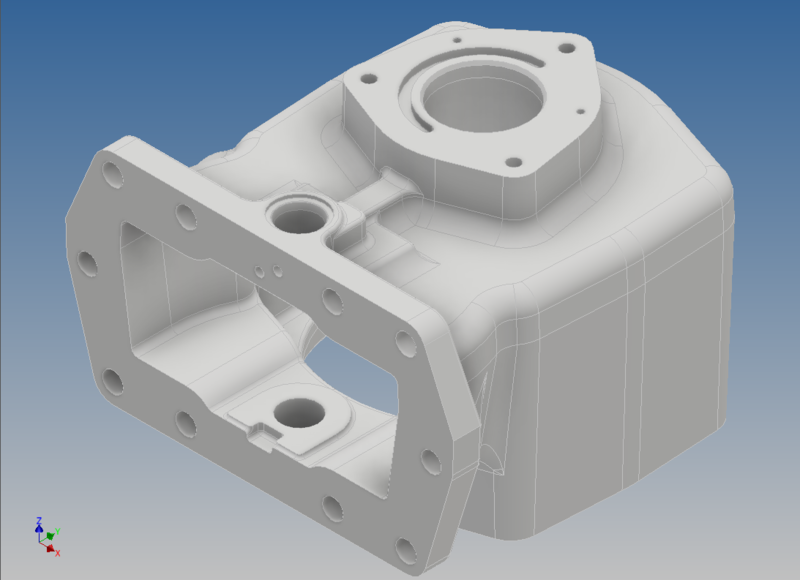 If there are many solids in the 3D dwg then it will treat it as an assembly and it will convert it into parts.